The picture was taken at a party. It was captured on a phone camera so the quality is not great. The girl living in the house is considering moving out as a result of the picture. The house is not old and was built in the 1970’s. Nobody recognised the child in the picture after it was taken. 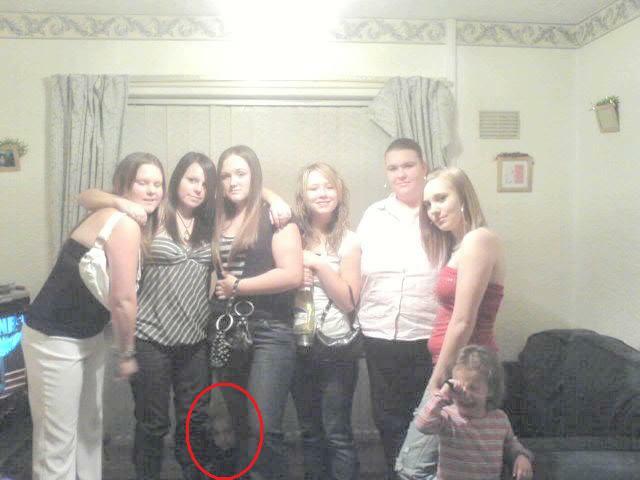 I believe the small child crying on the right may have “disturbed” the atmosphere just before the picture was taken allowing the spirit to appear on picture.